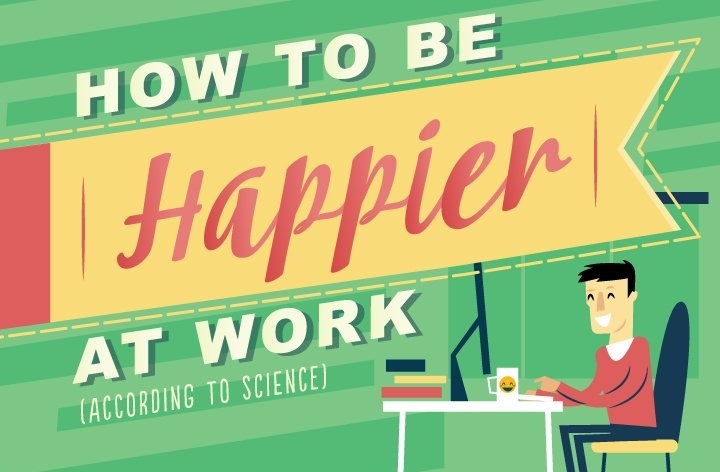 You’re at the office for more than 40 hours a week -- so it’s important to make sure you're happy much of that time. We can all admit that those long hours can take a toll on our attitudes, but they don’t have to. Whether you’re feeling underpaid or overworked, it’s important to know that you’re not alone and there are solutions. Nearly half of working Americans say being underpaid is their top complaint at work, which leads to lower job satisfaction. From minimizing distractions and prioritizing your workload -- there are a number of techniques to help boost your mood. Check out NetCredit’s infographic below for more helpful tips.